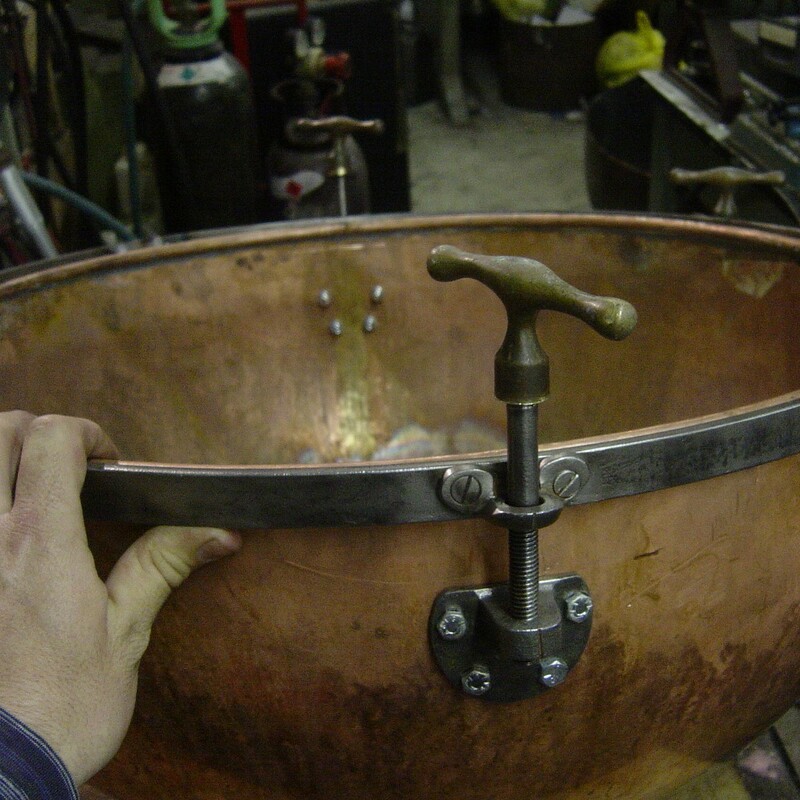 Here are some pictures of the step-by-step process of converting a deep, straight-sided timpani into a more conventional baroque or classical shaped drum. Timpani arrive in all kinds of condition! 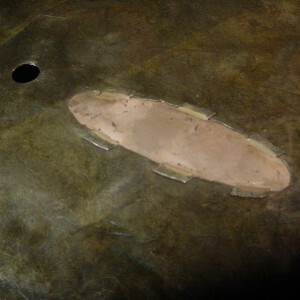 The original lacquer is removed. 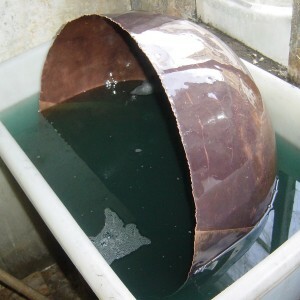 Depending on the shape of the bowl, about 3-4″ of copper is removed. 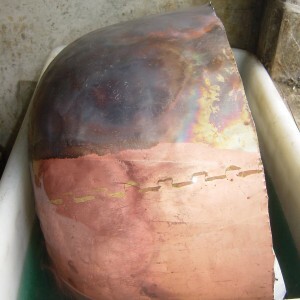 The bowl is bathed in acid to get back to the bare copper. 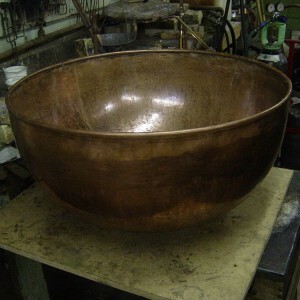 Many bowls arrive needing patches to repair tears in the copper, usually around the old leg holes. 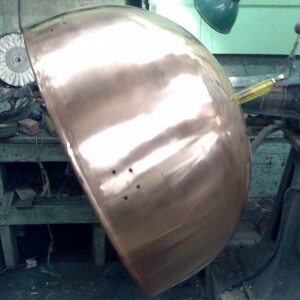 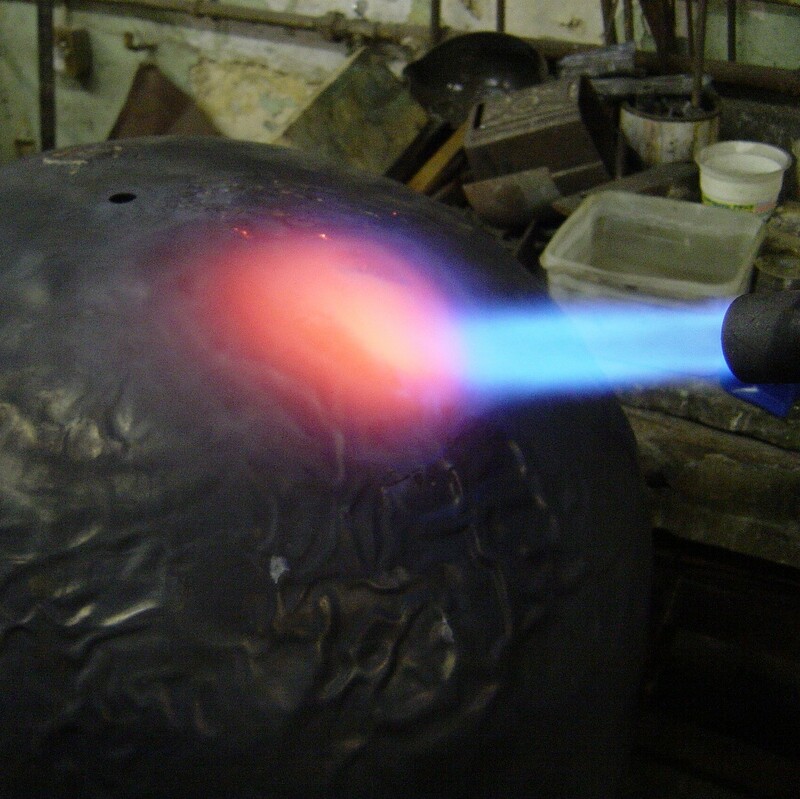 The copper needs to be annealed many times in order to re-shape it. 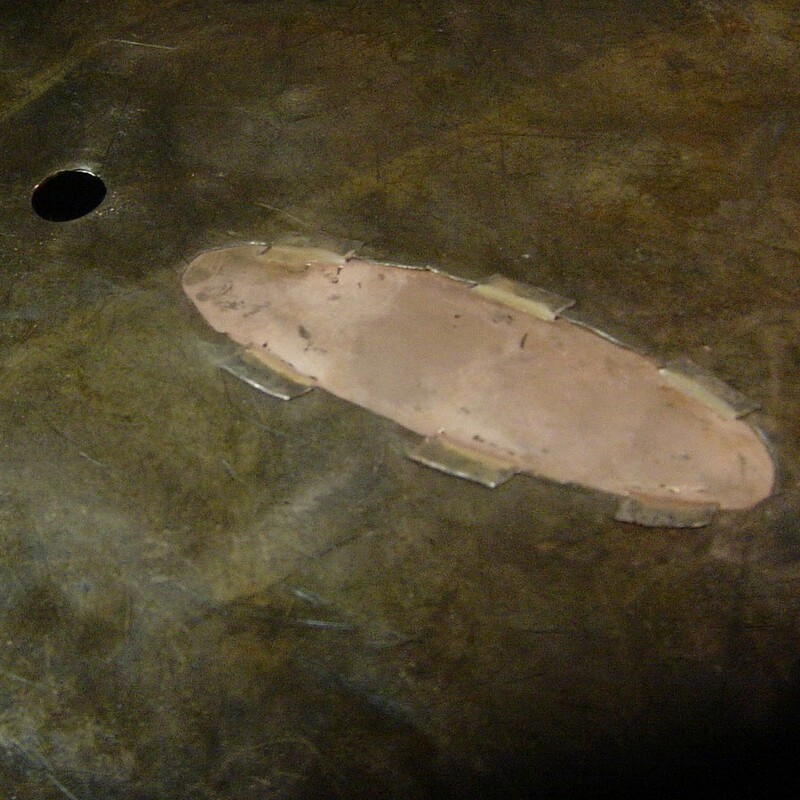 A wired edge is soldered in to form the new rim of the bowl. 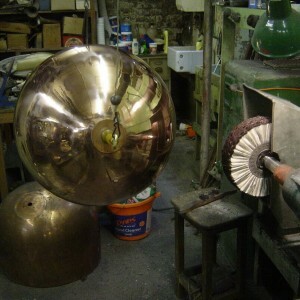 The measurements are taken for the fittings. 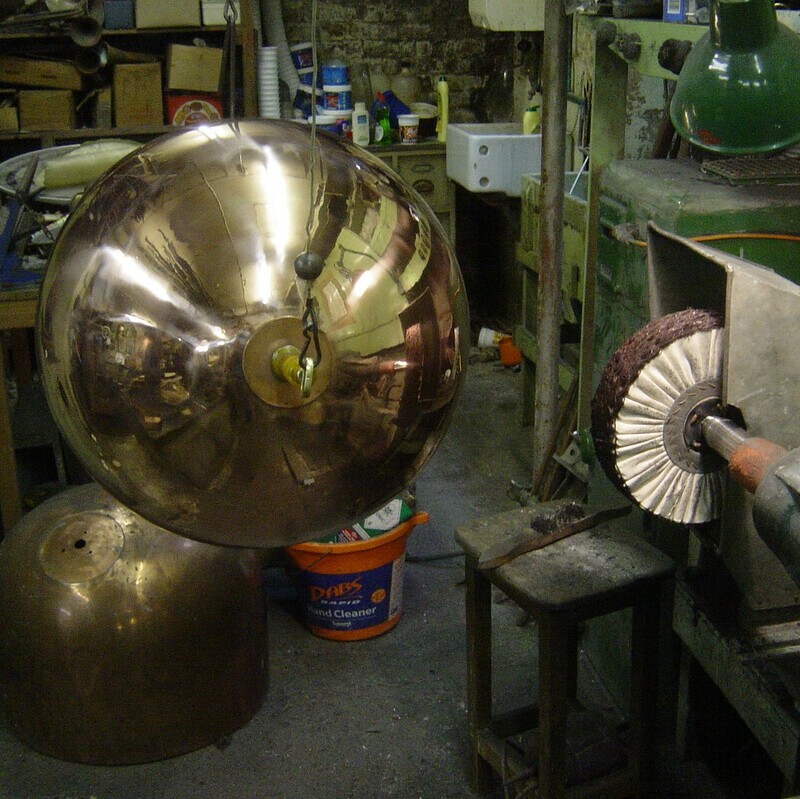 Then, hours of patient polishing….. The end result is an “as new” baroque or classical timpani. 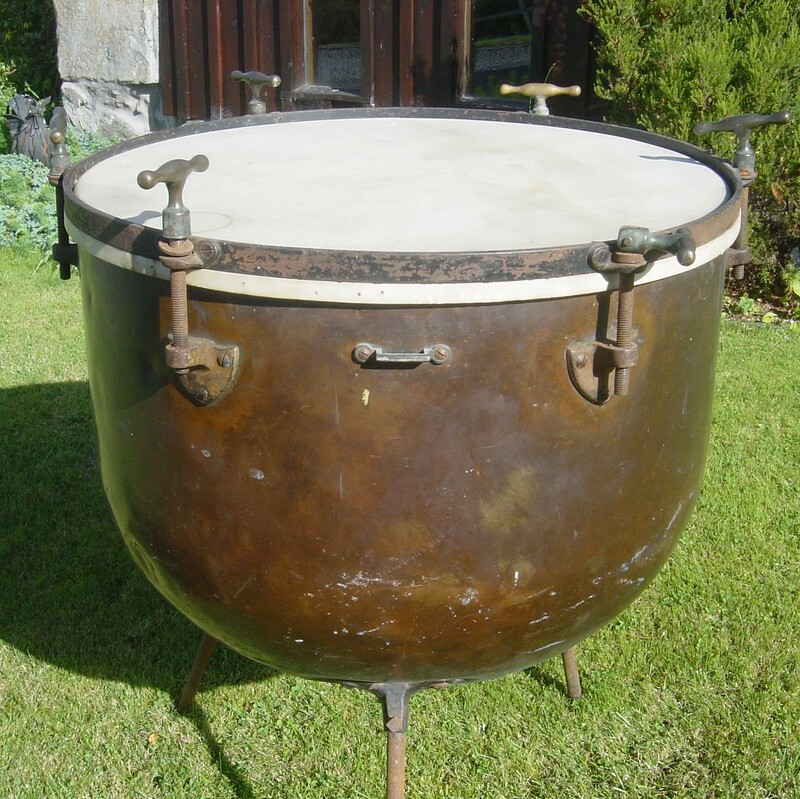 There are many variables to do with the cost of converting timpani. 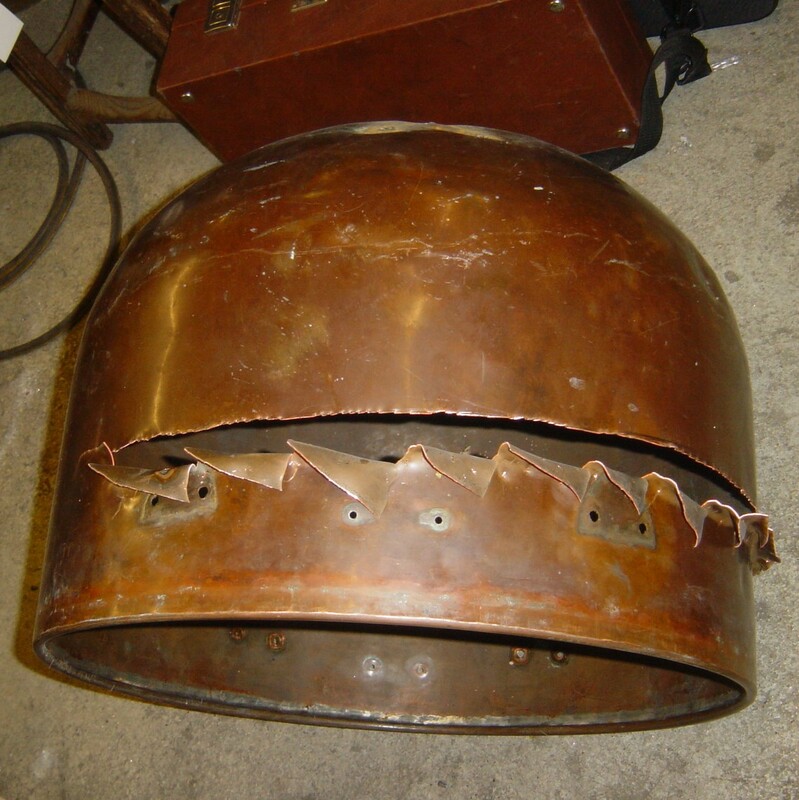 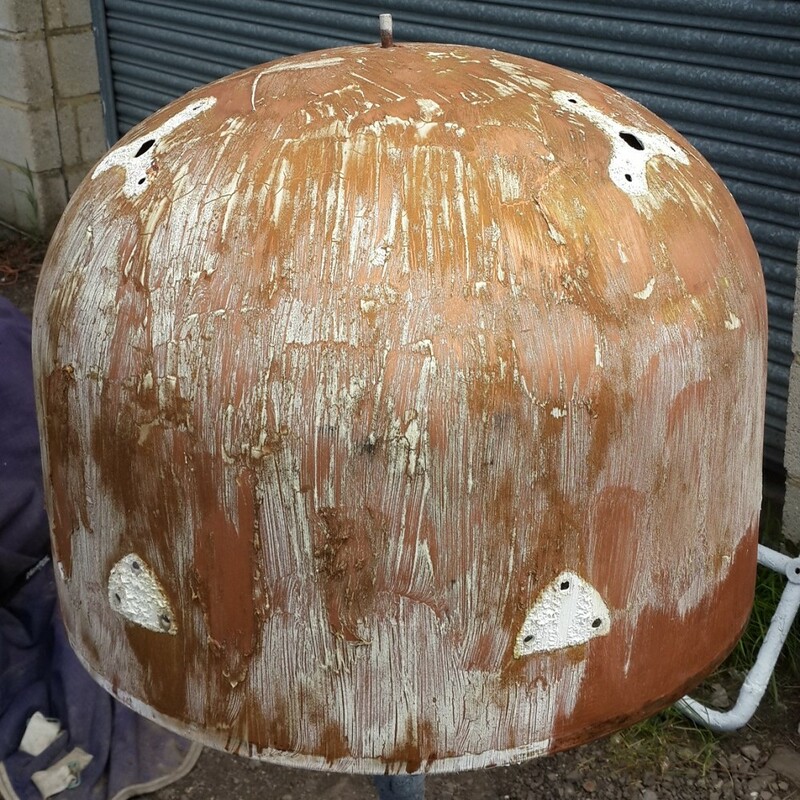 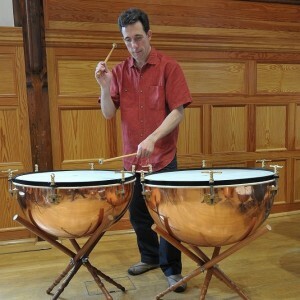 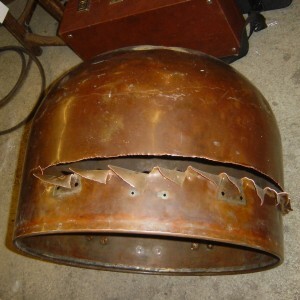 Click here for my downloadable buying and refurbishing timpani document including costs of doing this.